Is shipping really just $6? Yes! We know shipping can be expensive. We are happy to offer a flat rate shipping on all orders...no matter how large! We accept any major credit card or you may choose to pay through Paypal. We currently ship USPS to valid United States addresses only, including Alaska and Hawaii. Tracking information will be sent via email so you can check up on your order at any time! We are committed to shipping orders as quickly as possible. Most orders go out within the week, and more typically within 1 to 2 days of order placed. We pride ourselves in quick shipping! Please email us at inthefarmkitchenshop@gmail.com with an email titled "Return Claim" on the subject line. The claim will be reviewed for approval. Photos are required in cases of damage or quality claims. All claims must be submitted and received within 2 weeks from receipt of shipment. Returns due to damage will be replaced or refunded. All other qualified returns will result in merchandise credit, which remains valid for one year from the date of issue. When filing a return, please include the following information: Name, Phone Number, Quantity, Specific Reason for Return, A Photo of the Damage or Defect. No unauthorized returns will be accepted. 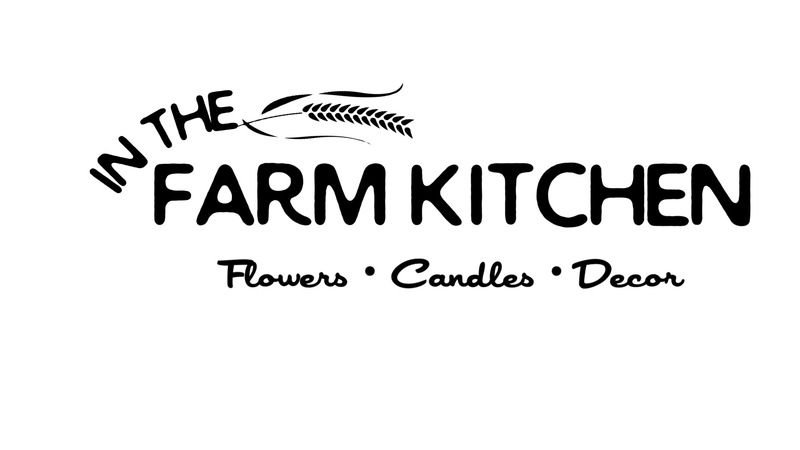 To return your product, email us at inthefarmkitchenshop@gmail.com for a return shipping address. Products must be returned in their original condition with original packaging intact. Customer is responsible for shipping cost of return, unless otherwise specified. Shipping costs are non-refundable. If a refund is received, the cost of return shipping will be deducted from the refund.